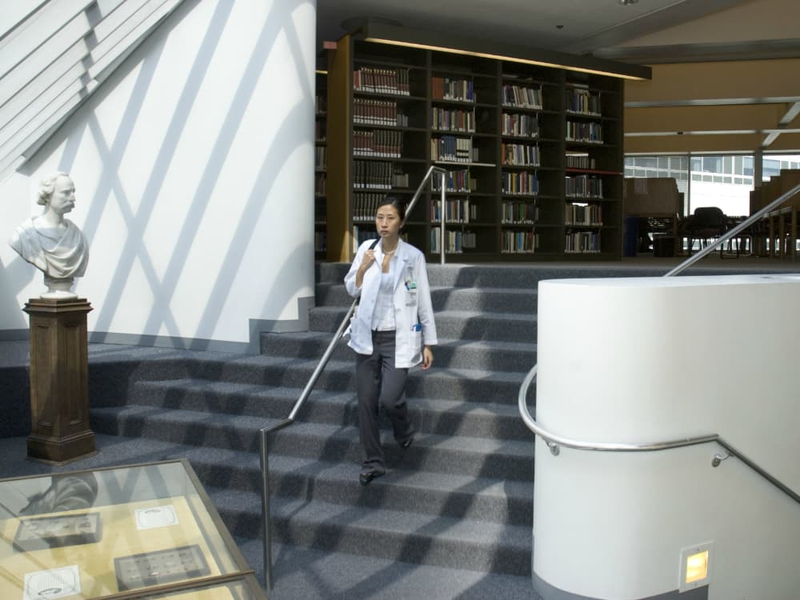 The Library of Rush University Medical Center and the McCormick Educational Technology Center, or METC, offer a range of resources and services to support faculty, students and staff. The library contains spaces for collaborative work and individual study. From home or on campus, you can access our databases, e-journals and e-books. The METC provides educational support to facilitate teaching and learning through the use of technology and instructional design. The METC has computer labs, research software, laptops and iPads are available for checkout. Visit the Rush University Medical Center Archives website to learn about the history of Rush, including our predecessor schools and hospitals going back to 1837, through the present day. On the Rush Archives website, you’ll also find our online collections, including thousands of digitized annual reports, newsletters and photographs. The Rush Archives also assists Rush departments, employees or student groups with records consultations. Help the Rush Archives continue to tell the story of Rush by setting up an appointment with your archivist today! Are you looking for information on an alumnus or faculty member of Rush Medical College or one of our predecessor nursing schools? Are you interested in donating material to the Rush Archives, including items from our alumni? The Rush University Medical Center Archives is the official archival agency of Rush University Medical Center and Rush University.